The amount of data used for HD content takes up much greater space than that of Standard Definition (SD) content. From that need came Blu-ray discs (BD). Blu-ray's name comes from the blue colored laser used to read the discs. Data is stored on the disc by burning tiny pits in the surface, basically the same as with CDs and DVDs but with many, many, more pits to a given area. A Blu-ray's disc capacity is enormous - where a standard DVD holds 4.7GB of data, a standard BD will hold a huge 25GB of data and a dual layer BD a whopping 50GB. There are a few offshoots of Blu-ray technology, lower cost, lower capacity, BD5 and BD9 discs (basically recording Blu-ray format data onto a special DVD using a different colored red laser) There are also mini-sized BD's. Recordable Blu-ray discs are available as well for use with burners. High quality video and sound - Think of the difference between DVD's and Blu-ray discs as the same as putting on your reading glasses to read a book. Everything looks sharper and more in focus on Blu-ray than with DVDs. My first experience playing back a Blu-ray disc with the BD-P1600, on a 1080P HDTV, was nothing short of nirvana. It was similar to my first experience listening to a very expensive audiophile system. The amount of detail and realism can't be mentioned in the same breath (take a breath here) as your average home stereo. Its the same with Blu-ray - there is no comparison to Standard Definition TV or any DVD, the picture quality with Blu-ray just blows it away. It doesn't end with the image on the screen. I was very pleased with the audio coming from the BD-P1600, which can take advantage of several of Dolby Lab's sound technologies. Dolby's True HD decodes lossless multichannel sound (High Definition sound output). The BD-P1600 also supports the competing audio technology, DTS HD. I haven't put the audio section of the Samsung through extensive listening tests yet because I'm still putting together my home theater system but I can tell you that the sound through my Grado and Sennheiser headphones was wonderful. Music with either my small Bose Companion 2 Series II speakers or the slightly bigger M-Audio Studiophile AV 40 speakers was at times an almost three dimensional listening experience, even though I was listening with just two speakers. Internet connectivity - With the new Samsung BD-P1600 you're given additional features by hooking this player to the Internet. You can do this one of two ways, via Ethernet cable to your router or with Samsung's optional Wireless USB Adapter (WIS09ABGN) I chose to use the Ethernet hookup for the most reliable, and fastest, data path. Wireless USB adaptor supports USB 2.0. Compatible with IEEE 802.11a/b/g and 802.11n draft 2.0. Net weight: 0.21 (3.36oz) Lbs. Being able to access the Internet opens a whole new world of features with the new BD-P1600's BD-Live 2.0 compliance. Now when you play back certain Blu-ray titles there are additional menu options. You can download additional content, access a website with games and more. Some of this content is even upgraded after the release of the disc so even older titles in your collection could have new content available. Netflix - The Netflix feature built into the player enables you to watch more than 12,000 titles of on demand movies and TV shows. More are becoming available all the time. A very minor drawback is that you have to arrange your Netflix Cue using your computer and Netflix's website. Right now Netflix's video on demand selection is mostly not up to HDTV quality. They do have some selections tagged as HD, and the image quality is better than their standard selections, but still not able to compete with the image quality 720P or 1080P brings you. As cable companies offer faster speeds I think this will change and we'll see true 720P and then 1080P service. We may not have to wait that long for it either. Pandora - With the BD-P1600 you can also use my favorite place to listen to streamed music online, Pandora. Again you have to go to Pandora's website to set up your account and individual stations, which is dead simple to do, then listen to them at will using your TV/home theater system. Setup with either Netflix or Pandora is also simple. If you don't already have an account with Netflix then by all means sign up for their service. I pay $12 a month for unlimited Blu-ray discs, one at a time, but that includes unlimited on demand video. Pandora's service is free (for now). Go to the Pandora website, create an account and set up your stations. Then back to your Samsung BD player, remove any discs you might have in the tray - the screen will show the Netflix/Pandora icons. Click on one. The first time you use it, a setup screen will pop up giving you a series of numbers that you type in at Netflix's or Pandora's website that ties your machine with your account. That's it! You're done and ready to start watching on demand movies or listening to music. USB - There's a USB slot on the front and back of the player. The rear one would normally be used with Samsung's Wireless USB dongle. 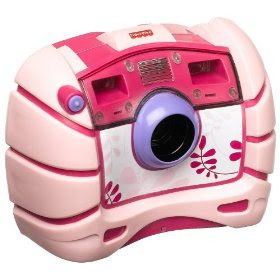 The front slot can be used to show JPEG photos and play back MP3's. HDMI 1.3 - One of the best features of newer HD equipment is their use of HDMI cables for connecting components. Instead of a snake's nest of wires behind your home theater system that takes you hours to figure out which cable goes to what connection, HDMI simplifies everything by incorporating your video and sound connections into one wire. It also allows for the best image quality, 1080p. Now the only other cables running behind your player are the ones for networking and AC power. (and with the next update to the HDMI specifications, the networking cable will disappear). HDMI makes hooking up your system a breeze and I completed my hookup in a matter of a minute or so. Most of that was going back to the manual to see which of the 4 HDMI slots on my new Samsung LCD TV I should use for the various devices. Now running from the back of the player are the power cord, HDMI cable and Ethernet Cable - that's it. If I'd gone with the Wireless USB dongle to connect to my home network I'd only have the HDMI cable and power cord. In the box is the player, remote and batteries, RCA type AV cable, user manual, quick start guide. As I mentioned above setup is very easy, even setting up Netflix and Pandora. All-in-all I think it took me a total of 15 minutes, and I wasn't rushing. Plug in a couple of cables, set up accounts and you're ready to go. If you decide to use Samsung's Wireless USB device to access your network, setup will probably be the most time consuming thing you'll have to do since you'll have to use the remote to input your router's password of upper and lower case letters, numbers and special characters. You enter the data by using the remote to move a cursor around on the onscreen keyboard. By using an Ethernet cable you bypass the need for the password. 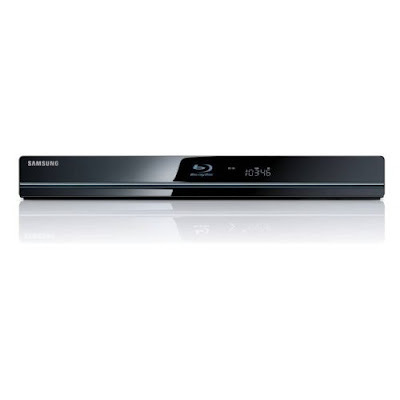 The Samsung BD-P1600 is one of a few players on the market with a user upgradable firmware. What's so special about being able to do this yourself? Unfortunately there are some discs out there that don't work with all players. Being upgradeable the Samsung can add future compatibility with those discs. I've already upgraded my player's firmware in the first month of ownership. Here we come to one major gripe I had with the player. Downloading my first firmware update via the player's Ethernet connection took more than 30 minutes, and thats for a file that was only 65MB in size, and this was done over a broadband cable connection. Normally such a download would have taken a minute or so. I have to believe the slow speed happens because of Samsung's server. Anyway, the firmware upgrade itself is simple to do; follow onscreen instructions and that's it. Using your computer you can also download firmware upgrades to a USB memory stick and transfer that over to the player to do your upgrade. I'll try that next time there's an upgrade. TIP - remember to remove any disc in the player before you try to upgrade your firmware. Sales of BD players are way up over last year (by almost 75%) most likely pushed by the drop in street price of the players over that same time frame. A couple months ago I bought the player I'm using for this review. Normally the BD-P1600 sells for $299 but I happened on a great sale on Amazon and purchased the player for $215 including five Blu-ray movies, which effectively dropped the cost down to the $150-$160 range. It pays to do a little searching before you buy anything nowadays. If you have a HD TV already or will buy one soon, especially if it can display 1080P video, then by all means upgrade your disc player to the BD-P1600. You will not regret it. I've quickly become a Blu-ray junkie because of the outstanding picture quality of the BD-P1600. Its faster loading time is a godsend compared to other units. All Blu-ray players are not created equal and the playback quality of this Samsung is among the best of what's out there. Mostly I wish for the controls on the player itself to be back-lit. As they are now its more like trying to read Braille unless there's really good room light illuminating the face. This is a minor gripe since most people will access the player via remote. I like the drop down front panel, it keeps dust out of the player, but it can cause some hassle if you have to use a IR repeater. It would have been nice for Samsung to include a 6' Ethernet cable. I'd rather Samsung had included a 6' Ethernet cable than the RCA AV cable. Most people already have the latter. Glow in the dark buttons help, but back-lit would have been better. Most of the other items on my wish list have to do with the remote. It would be nice if it had back-lit buttons like its sibling TV remote from the Samsung LN40B650. There are some glow-in-the-dark buttons (play, fast forward, stop, pause) but you need to have the remote under a light for awhile for them to be useful in a dark room and then only for awhile since they eventually fade. Button layout on the player's remote is actually better than the TV's remote. That's a lucky thing because of the Samsung's Anynet+ feature the player remote can handle most of the chores of the bigger TV remote (and vice versa) so I've ended up using it more often of the two. Another nice touch with using AnyNet+ is that when you turn on the player then my Samsung LN40B650 also turns on and sets the input for the BD player. 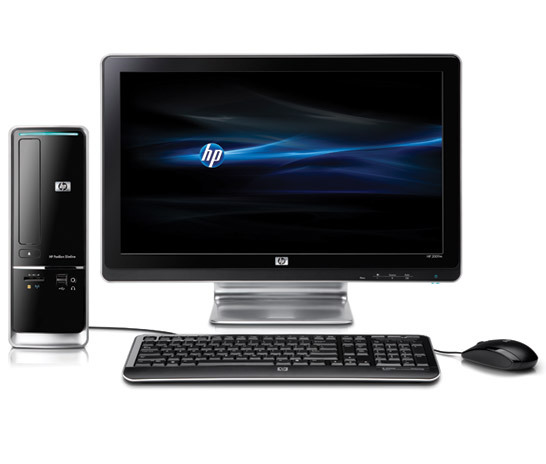 The HP Slimline offers a powerful PC where space is at a premium. 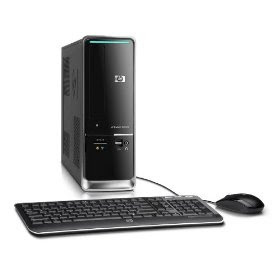 Perfect for a small office or dorm, it can handle all your computing needs, like e-mail, word processing and more. And the Slimline is flexible, so you can easily add or upgrade features and functions. The HP Slimline¿s sleek, modern styling, with chrome and accent lighting, looks great in any room. What's in the box: Pavilion s5120f desktop PC, HP USB keyboard, HP USB optical mouse, power cord, Cyberlink DVD Suite Deluxe software, HP MediaSmart Software Suite, Microsoft Works 9, Adobe Reader 8 and Norton Internet Security 2009 with 60 days of complimentary live updates. 500GB hard drive (7200 rpm) stores up to 106,000 songs or 84,000 photos. NVIDIA GeForce 6150 SE Graphics with 128MB intregrated shared graphics memory. Want a smaller PC that has everything you need and want? 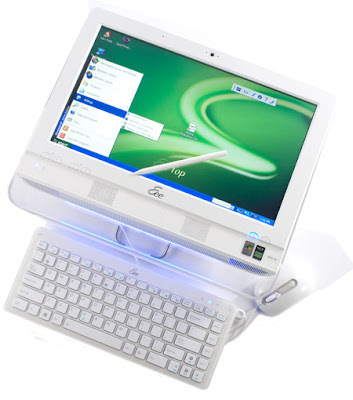 Buy an HP Pavilion Slimline PC. Create documents, spreadsheets, slide shows, music playlists and home videos. 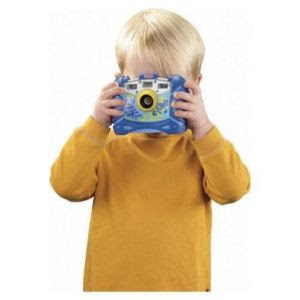 At under 5 inches wide, this PC is an easy fit for any office or room. 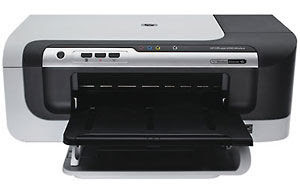 Improve the speed and efficiency of your office work with our Officejet 6000 Wireless Printer. You'll get professional-looking documents for a cost of up to 40% less per color page than with laser printers, 1, and you'll use 40% less energy2. Want fewer interruptions? Add high-capacity HP ink cartridges3. 1. Among majority of color laser printers less than $300 as of 6/08 using HP Officejet with highest-capacity cartridges. 2. Among majority of color laser printers less than $300 as of 6/08; energy use based on HP testing using ENERGY STAR® program TEC test method criteria. 4. . Based on pages/minute measured using FDIS ISO/IEC 24734. Standard applies to inkjet and laser products and excludes first set of test documents. 6. Based on paper-industry predictions for acid-free papers and original HP inks; colorant stability data at room temperature based on similar systems tested per ISO 11798 and ISO 18909. 7. HP cartridge return/recycling available in 42 countries and territories. Now that the Wireless-N standard has been ratified by the IEEE (Institute of Electrical and Electronics Engineers), this means that you can finally enjoy improved network throughput over the previous Wireless standards, 802.11b and 802.11g. But in order to take advantage of Wireless-N, you're going to need an 802.11n router. Luckily, you can score a Wi-Fi N router from Apple, D-Link, or Linksys for $100 or less. The following Wi-Fi N routers have all been reviewed by PCMag's talented networking analyst, Mario Morejan. PCMag uses a rating scale of 1 (poor) to 5 (excellent) and judges things like features, performance, and durability. Why You Want It: Apple's well-built, reliable AirPort Extreme Base Station 802.11n router offers two impressive new features: simultaneous dual-band broadcasting and guest access. This is a solid router for networks that are all Mac or even Mac/Windows, and performs well at long distances. Now that it's $79 off the original price tag of $179, we can finally recommend it as an affordable buy. Buy the Apple AirPort Extreme Base Station 802.11n today! Check out the other rated routers for less, after the jump. Why You Want It: D-link's RangeBooster N Dual Band Router is easy to set up, has great performance, and offers a rich feature set. Although the user interface could use a facelift, the router's other strengths more than make up for it, especially at such a low price of $70. 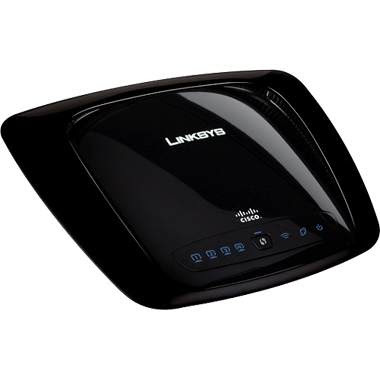 Buy the D-Link RangeBooster N Dual Band Router (DIR-628) today! The 6SigmaET electronics-cooling software package is said to be the first major product for electronics thermal analysis developed in the last decade. The software helps build a model using objects with built-in intelligence to speed-up model creation, and also enables automatic gridding and simplifying post-processing. PCB-level designs can be done in the context of the data center as the final application, which enables development of rack-based systems and containerized or custom data centers. The software streamlines model creation, gridding, solving, and post-processing. An automated process is used to convert incoming CAD data to intelligent objects such as the chips, capacitors, resistors, other components on a PCB, and heat sinks with complex shapes. For example, a heat sink can be snapped onto a chip and a chip can be snapped onto a board, eliminating the cumbersome positioning required with other electronics-cooling software. The intelligence enables automatic meshing, such as increasing the grid density in critical areas. The good: Most affordable all-in-one PC on the market; semiportable and easy to set up, thanks to its small size and self-contained design; boasts a touch interface with a few useful apps. The bad: Touch software only semiuseful; decent performance for an Atom system, but horrid compared with similarly priced laptops and desktops. The bottom line: Thanks to its price, size, touch screen, and semiportability, the Asus Eee Top ET1602 presents a lot of usage options. Put it in the kitchen, den, or even a hallway, and it can serve as an easy information hub for your family. Just don't put it on a desk, where a desktop or a laptop will be much better suited for serious work. 4. Select "Group my items into as few shipments as possible" as your shipping preference. 5. Select Super Saver Shipping as your shipping speed. Once your items are available, your order will be delivered within 5-9 business days. If you qualify for FREE Super Saver Shipping but your order also contains one or more ineligible items, you'll be charged shipping fees for those ineligible items. Canceling items, combining orders, or changing your shipping address, speed, or preference might affect your order's eligibility for Super Saver Shipping. Applies only to orders with at least $25 of qualifying merchandise, excluding gift-wrap charges and taxes, at the Amazon.com and CDNOW.com Web sites. Excludes items that do not include a statement that they are eligible for FREE Super Saver Shipping next to their price. Also excludes certain oversize items, e-documents, software downloads, music downloads, and gift cards. Eligible items fulfilled by Amazon.com may not be eligible if fulfilled by a third-party seller. 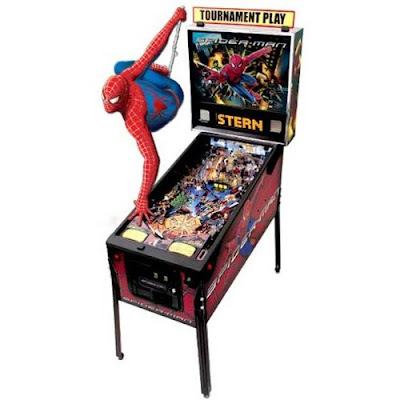 Look for the "FREE Super Saver Shipping" next to the price in all "New, used, and collectible" listings to see if the item is eligible for FREE Super Saver Shipping from any particular seller. The price of shipping a magazine subscription is already included in the subscription price. However, the price of a magazine subscription can be applied toward the $25 order total needed to qualify for FREE Super Saver Shipping. Applies to U.S. delivery addresses in the 50 states only, including Alaska and Hawaii. Geographic shipping restrictions may apply to particular products; for example, some Tools & Hardware items may not be shipped to Alaska and Hawaii using FREE Super Saver Shipping. May be used in conjunction with a promotional code. The qualifying amount is the total amount of the products purchased before the promotional codeis applied. You will not receive FREE Super Saver Shipping on your order if any eligible items are canceled, bringing the total below $25. On the next page, which summarizes your order, click the Change button next to Shipping Speed. We reserve the right to change or discontinue FREE Super Saver Shipping at any time. This new model allows longer talk time, easier to your ear and better distance compare to other models. My wife now can leave the phone in her hand bag, never need to take out anymore for taking calls or making calls. 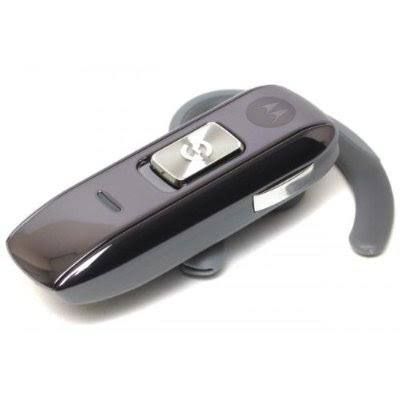 Work flawlessly with Krzr phone, carry out commands to dial number, check missed calls, etc. Like a charm! 3)Delivery time: 5-7 business days. 4)quality: made of high quality. 5)Packing: Original packing box, tag, label, card. 6)color: different color and style are available. This is hongfatrade co., Ltd from China. We sincerely hope to do business with you! 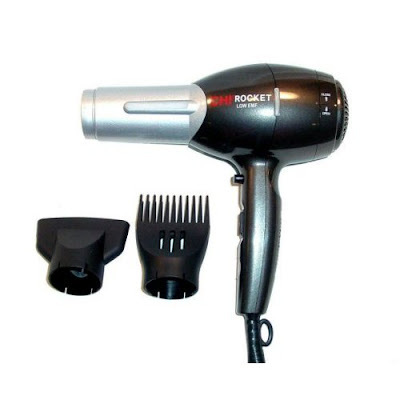 We wholesale all kinds of fashion hair straightener. If you are interested in any of our products, please feel free to contract us. Programmable Logic Controllers (PLC) continue to evolve as new technologies are added to their capabilities. The PLC started out as a replacement for banks of relays. Gradually, various math and logic manipulation functions were added. Today they are the brains of the vast majority of automation, processes and special machines. PLCs now incorporate smaller cases, faster CPUs, networking and various internet technologies. Send the data to the PC. PC decodes the bar code. PC looks up the resulting information from the database. Move the data to the PC communications port. Send the information to the PLC across a serial communication connection. Move the data from the PLC communications buffer to the PLC program memory and use it (in some cases). Send the data to the PLC. PLC decodes the bar code. PLC looks up the resulting information from the internal relational database and use it. Using a PLC with an internal relational database eliminates the weak link of the communications from the PC to the PLC. A PC will usually perform the database lookup faster than a PLC. However, moving the data from the PC database across a serial network connection (usually limited to 19.2k baud) rate is much slower that a PLC that can retrieve usable data in one scan of the control program. With this sorting conveyor example the first cost savings is reduced computer hardware by eliminating the PC with the database and the database software. A second savings is realized by eliminating the integration time required to get the PC and the PLC communicating. Another cost savings is from the lack of needing the Information Technology department to continuously maintain, backup and upgrade the PC. There are many different applications that a PLC with an internal relational database can control in a more cost effective way for both the Integrator as well as the End User. Manufacturing machines and processes that assemble product based on recipes or build multiple products on the same machine are all good candidates for this technology. Also, projects that require setting “environment variables” for configuration of a machine or custom written instructions and drivers as well as fast keyed look ups for control values would find the power of a internal relational database especially useful. Now here's a phone that not only feels heavy in your pocket, but actually burns several holes in it! 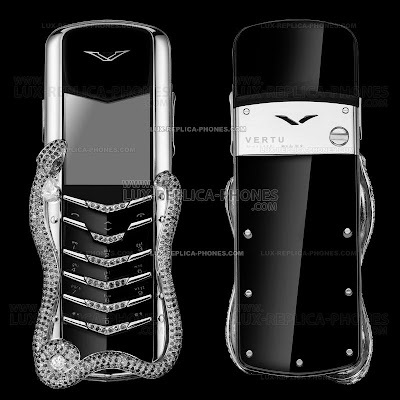 Vertu unleased its Signature Cobra series of cell phones complete with diamond and ruby embellishments. Which sorta gives it an ugly look and feel. But hey, if that's your thing, go right ahead and splurge. Designed by Frenchman Boucheron, the Signature Cobra is made from a pear-cut diamond, a round white diamond, two emerald eyes and all of 439 rubies. Count 'em yourself. If that's not mind-boggling, take a look at the price tag: US $310,000. That's right, kids. Well okay, they do have a discounted version running for $115,000, so if you're not upper crust enough, you might want to settle for this baby . Limited to just 3 units worldwide, the GoldVish Le Million phone is claimed to be the world’s most expensive cellphone, priced at a hefty one million Euros. 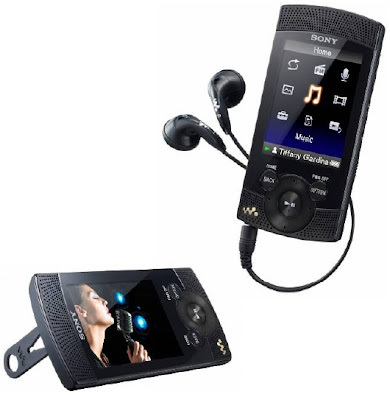 Now, Euroset, one of largest mobile handset retailers in Russia, has imported this masterpiece to the country. 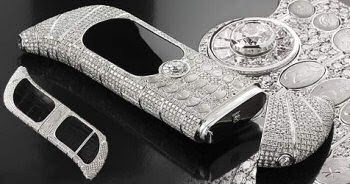 So, Russian millionaires will get a chance to own this GoldVish Piece Unique handset, which has already found a place in the Guinness Book of Records. 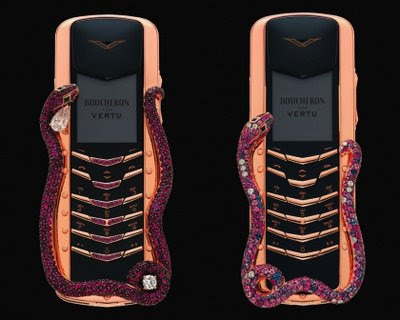 GoldVish Switzerland handsets are made of 18 carat gold (pink, yellow and white) and adorned with diamonds of highest quality WS1 cost from 22,000 to 127,000 Euros. Euroset has plans to open GoldVish boutique in Moscow next year. For now, they are offering Goldvish handsets in three shops in Moscow. 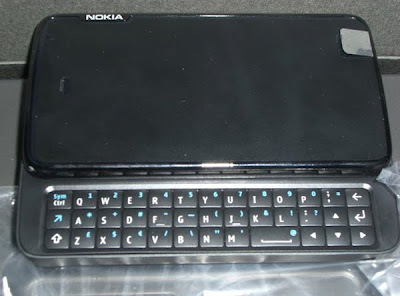 Not long at all after that mysterious Nokia RX-51 passed through the FCC comes shots from Indonesian message board Kaskus of the tablet-like device in the wild. The blurred box shot and the label behind the battery clearly say RX-51 prototype, and the design is unmistakably similar to the rumored press photo for the Maemo 5-powered Rover from back in May. We can't help but notice the 5 megapixel Carl Zeiss le ns and, more importantly, SIM card slot and an ear piece, which would be perfect for placing calls on, say, T-Mobile's network. Few more shots after the break, and hit up the read link for the gallery of photos. Here it is, folks. Sony Ericsson's newly official XPERIA X2 in the flesh. It's got a flashy (gimmicky?) home screen, along with a view for "snacking" on bubbled-up information. Lots of buzzwords, but we'll need more time hands-on to know how we feel. The hardware? It's still a heavy beast, but perhaps just a bit more loving in this incarnation. We don't love the resistive touchscreen one bit. 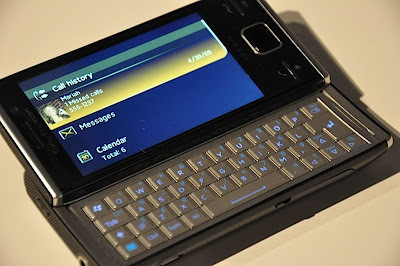 After a strong caveat that what we're looking at is preproduction software, a Sony Ericsson rep admitted that Windows Mobile 6.5 isn't all it could be -- though we're unsure why Sony Ericsson didn't throw a bit more hardware at the problem, Toshiba style. Still, the interface breaks down to stylus-friendly Windows Mobile-isms with just a few taps, and none of the "wow" of the floating Sony Ericsson home screen seemed to excuse any of the UI lag it introduces. Again, early software, but the X1 didn't exactly rise above its preproduction jankiness.